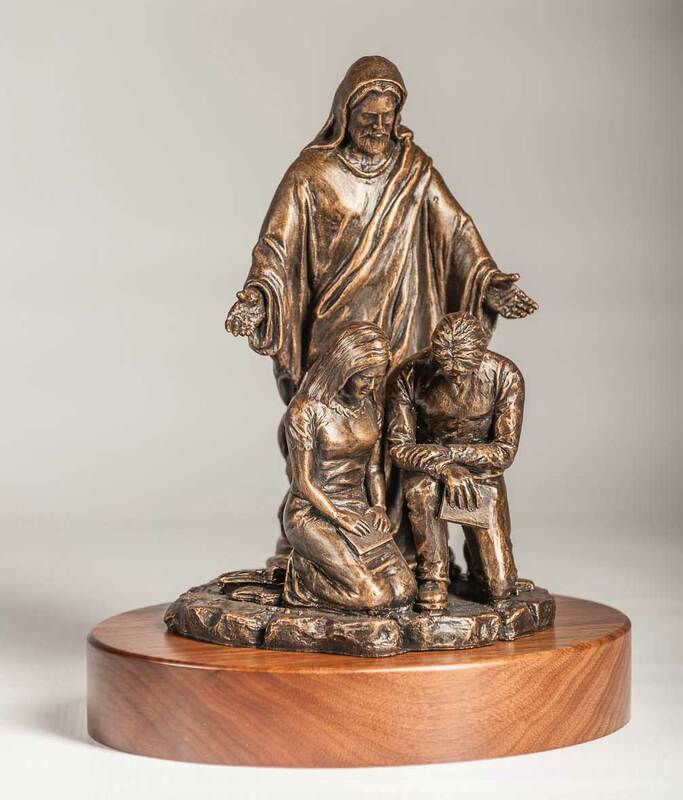 With You Always (Couple) by Mark Patrick is a Christian Art Sculpture that would accentuate any church, office or home décor setting. 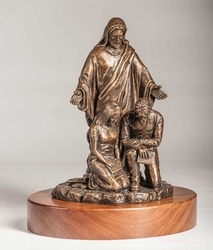 This highly detailed piece of Christian art is an excellent conversation piece that provides an opportunity to share your faith with all who view it. It measures 10" H x 7" W x 6" D and is mounted on a custom walnut base. A double thick walnut base, as shown, add $15.00. A personalized nameplate can be added to the walnut base for an additional $10.00. 2 Thessalonians 1:11, "...we constantly pray for you, that God may count you worthy of his calling, and that by his power he may fulfill every good purpose of yours and every act prompted by your faith."